Thanks for your interest in the Police Community Support Officer position. Unfortunately this position has been closed but you can search our 27 open jobs by clicking here. The ideal candidate for the role of PCSO will be a confident decision maker with excellent communication skills. You will have experience of working under your own initiative and with external partners and communities. You’ll be able to demonstrate your ability to remain calm under pressure and collaborate with communities and partners to deliver services and positive outcomes. You’ll be committed to delivering excellent customer service and always looking for opportunities where improvements can be implemented. You will have demonstrable experience of working with Microsoft packages coupled with a proactive approach to problem solving. You will also be able to write in a clear, concise and accurate manner. Click here to view additional information on the eligibility criteria and the selection process. We anticipate face-to-face assessments will take place April 2019. Candidates who successfully complete the selection process will be required to undertake an appropriately stringent vetting procedure; we anticipate a start date in this role from mid-2019 onwards. 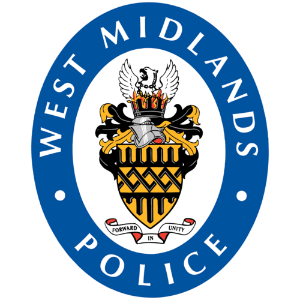 Please note that this role carries a tenure agreement – PCSOs are unable to apply for a different role within West Midlands Police for two years following their start date.